Prince Harry and Meghan Markle may be one of the most talked-about couples right now, but there's no way we can forget the true royal power couple, the Duke and Duchess of Cambridge. 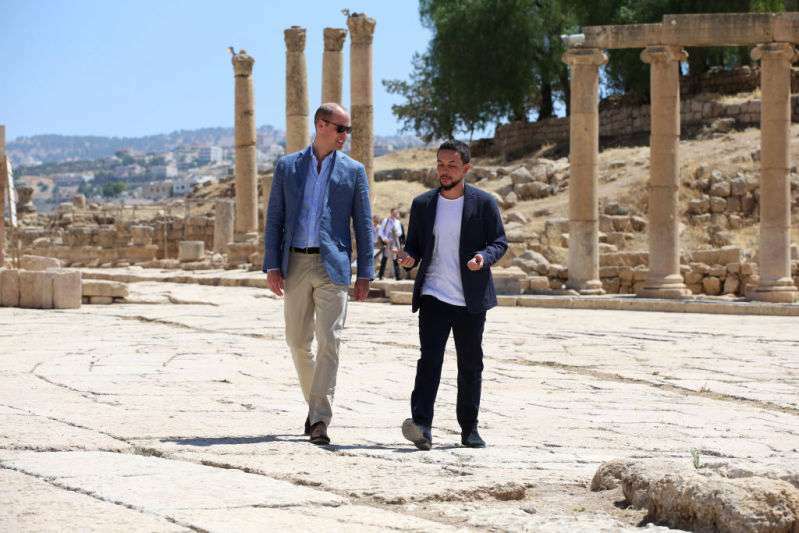 Prince William, who is on a tour of the Middle East, was recently in Jordan. 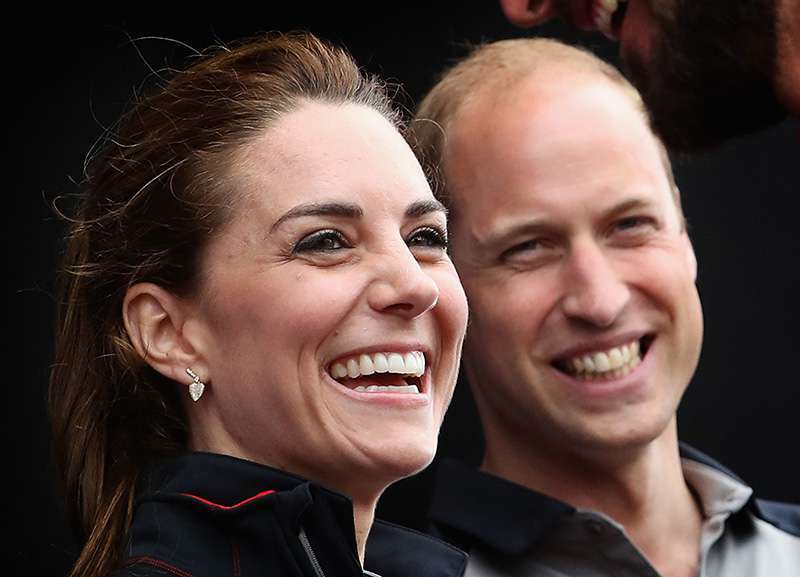 Apparently, Kate was 'very upset' about the trip as she did not get to go with him. The Duchess used to live in Jordan when she was younger. 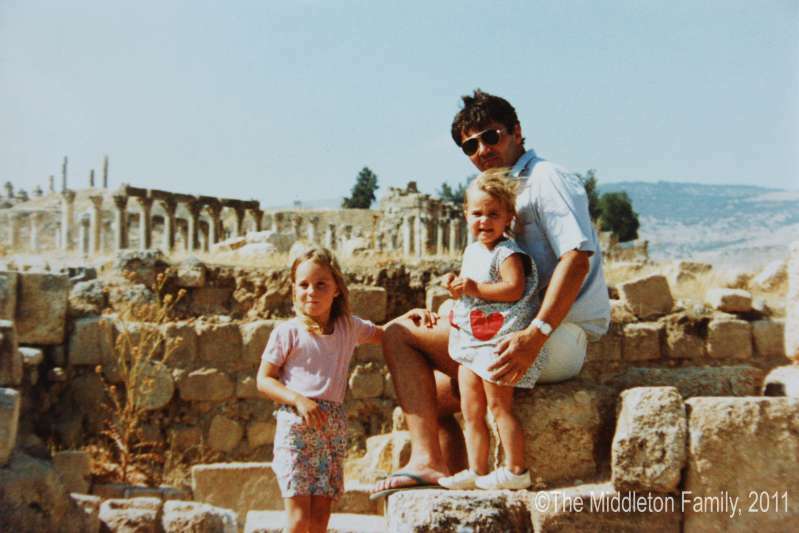 Kate Middleton and the rest of her family moved to Jordan in May 1984. 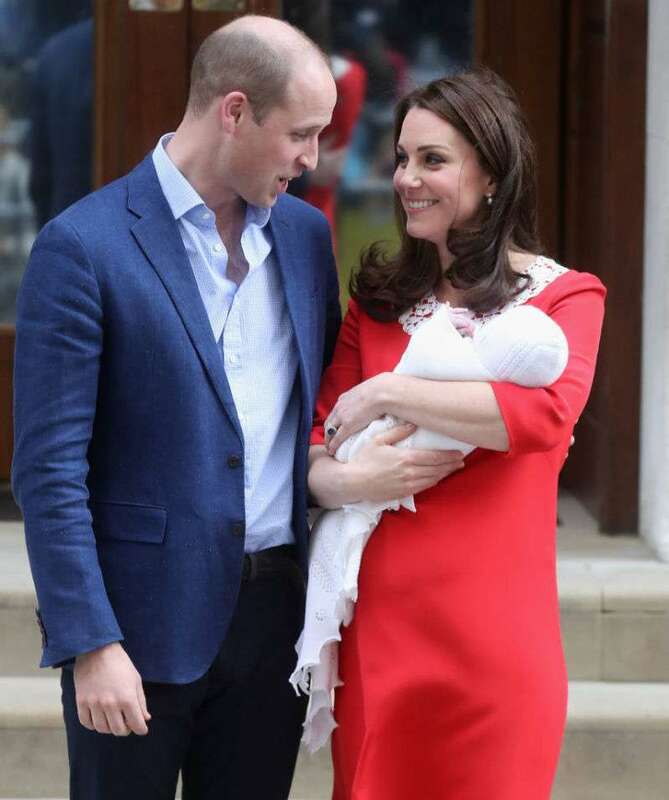 Kate was only 2 at the time while her sister, Pippa, was eight months old. According to The Duke, his wife loved her time there and would have really loved to go on the trip with her husband. 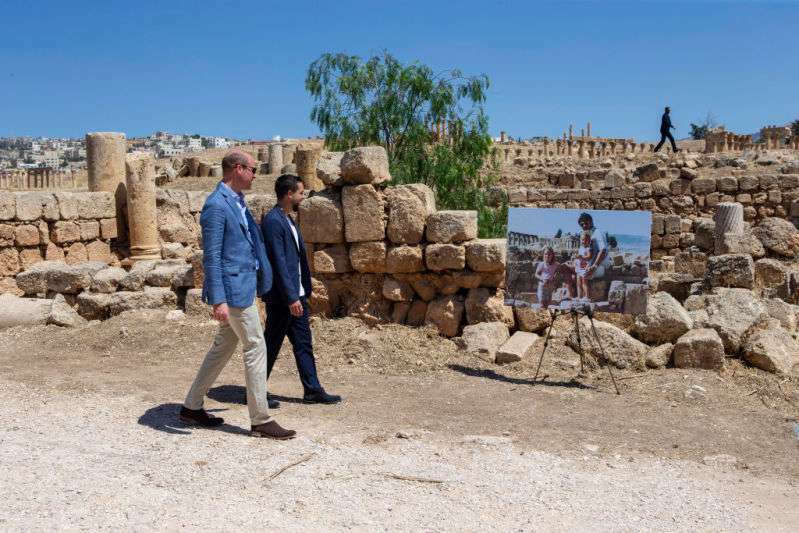 During his visit, Prince William revealed to the chief executive of Save The Children in Jordan, Rania Malki, that Kate was pretty bummed she couldn't come with him. No way! She will be thrilled. She loved it here, she really did. She is very upset that I am coming here without her. 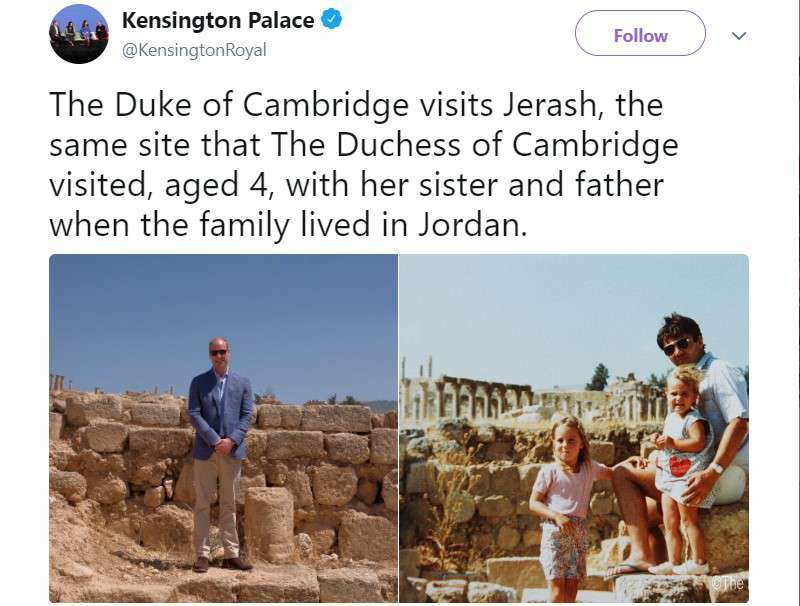 Clearly, his wife was still very much on his mind because Prince William then visited the exact location in Jaresh where she and her family posed for photos many years ago. 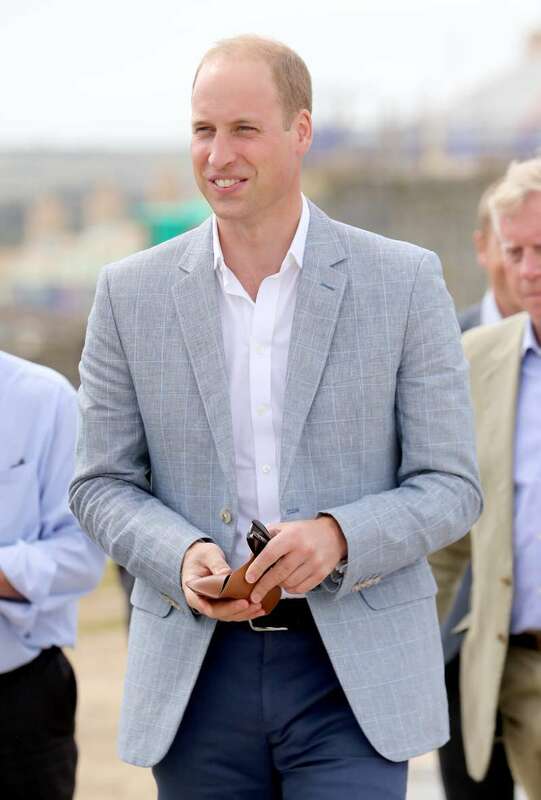 Just check out his adorable expression when he first saw the photo of Kate, which was taken 30 years ago. Not only that, he stood exactly on the same spot Kate Middleton did with her family and recreated the picture in the most heartwarming way possible. We highly doubt Kate will still be upset when she sees this super-awesome thing the Duke did in Jordan.